Ulrika Eleonora, youngest child of King Charles XI and Queen Ulrika Eleonora the Elder, married Prince Frederick of Hesse (1675-1751). She was elected Queen after her brother's death, however a new constitution inaugerated the so-called 'Era of Liberty' and saw the abolition of the royal absolutism giving power to Parliament. 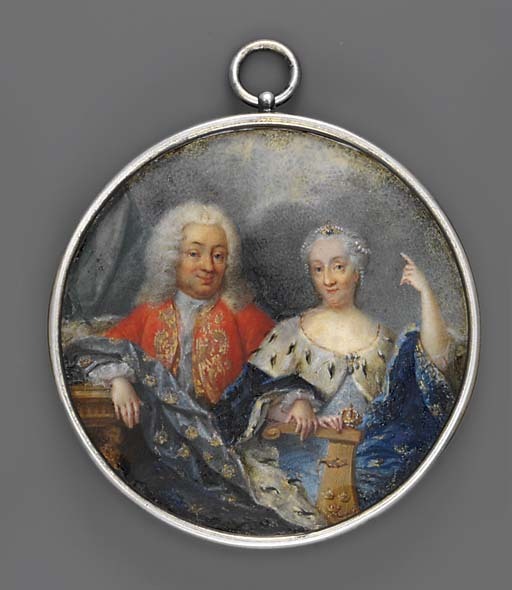 Ulrika abdicated in 1720 in favour of her husband who ascended the throne as Frederick I. Frederick I spent most of his time hunting and left the conduct of government to his chancellor, Arvid Horn. He died childless and was succeeded by Adolf Frederik (1710-1771).